Happy Valentine’s Day my friends! 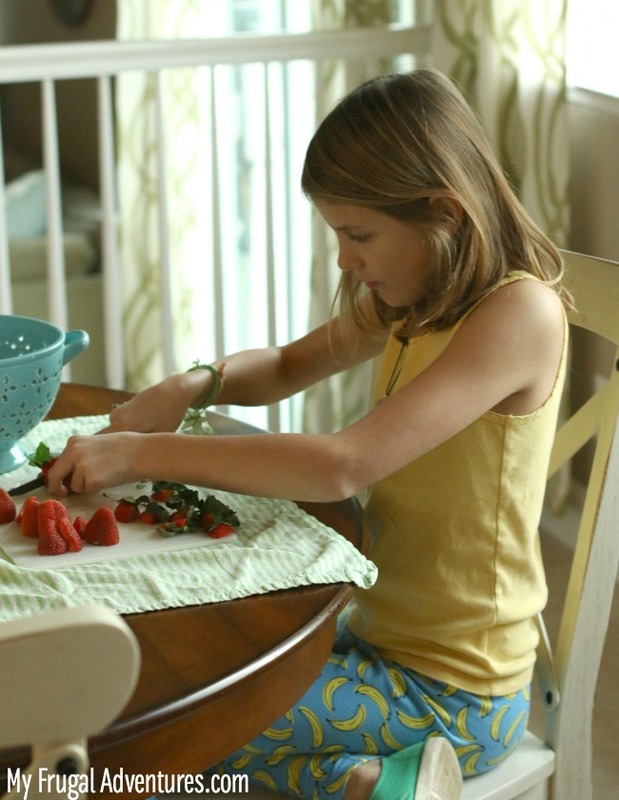 I wanted to post a very quick and easy and sweet recipe to make with the kids. This is really delicious in summer especially when strawberries are so sweet- you don’t need any sugar for fresh strawberry milk. In the winter when the berries aren’t as fresh and ripe, I use either 1/4 cup sugar or up to 1/2 cup sugar. You will get quite a bit of puree from this recipe so many glasses of this yummy milk or try it drizzled over a spinach salad, fresh mango and yogurt or pancakes. 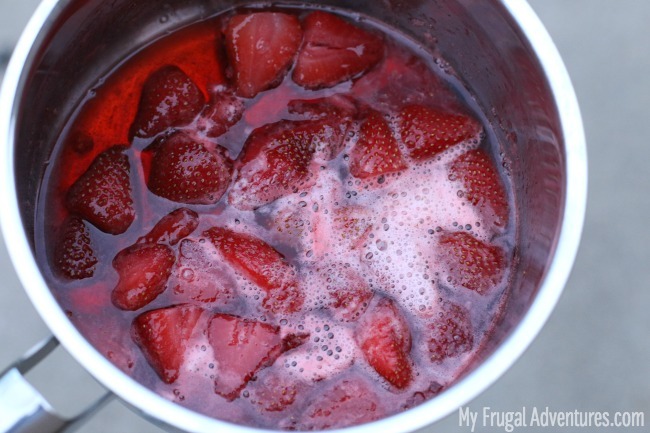 Wash berries thoroughly, remove stem and cut in half. Place in a saucepan with up to ½ cup of sugar. Add ¼ cup of water and stir well. Place over medium high heat and bring mixture to a boil. Once it begins to boil, lower heat to medium-low and allow to simmer for 10 minutes. Continue to stir occasionally to avoid burning- the sauce should be very fragrant. Remove from heat and once cooled, puree well in blender. Add 3 tablespoons of mixture to 1 cup milk and mix well. 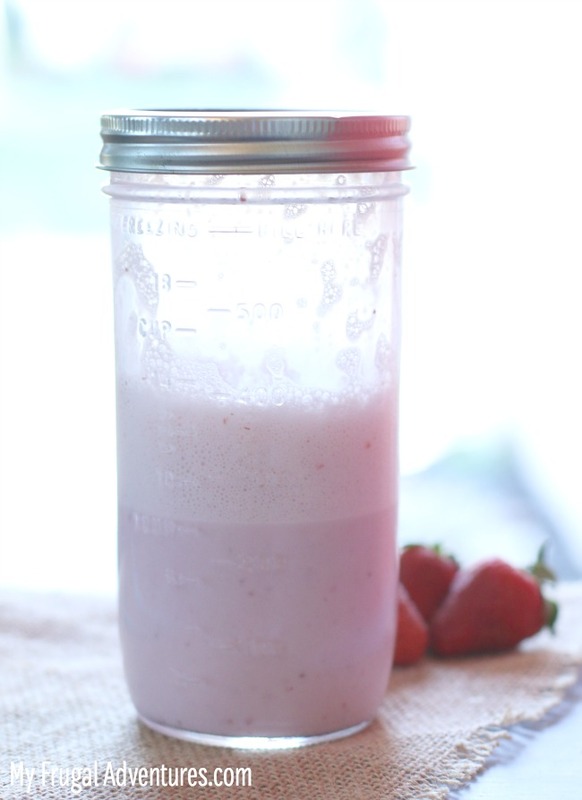 I like to add the strawberry puree and milk to a mason jar and just shake it up to incorporate but you can also just stir it. If the seeds are an issue, you can always run the puree through a strainer too. Post simmering, the mixture should be fragrant and fresh. Pop in a blender to puree and you will wind up with a liquidy version of jam. And I love to have the kids help with stuff like this. My big girl got some practice chopping fruit. We had this with pancakes for Valentine’s Day breakfast this morning. I think it would be adorable for movie night or slumber parties or maybe make a batch and sit on the couch with a stack of Pinkalicious books this summer. 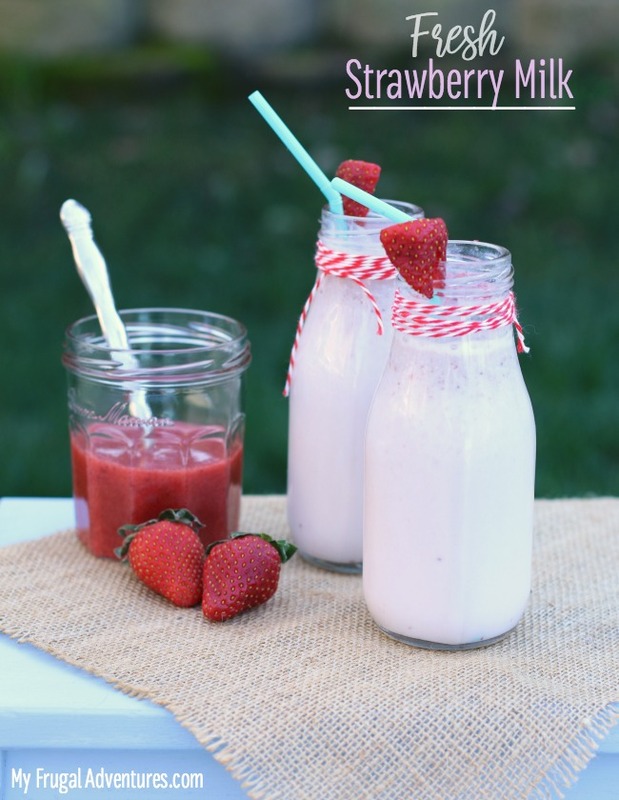 This is way better than store-bought strawberry milk.